As Manchester United’s Official Ride Partner, Uber was looking for a way to tap into the passion of the club’s global fanbase. Supported by COPA90, Uber launched its Destination United programme, with the aim of collapsing the distance between the fans and the club by bringing them closer to the team they so passionately support. 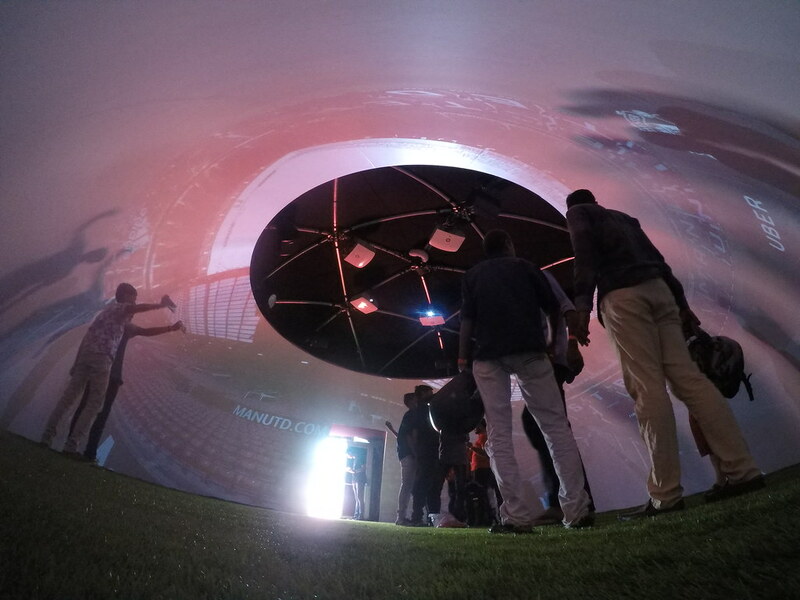 Igloo was enlisted to become part of the Old Trafford Destination United experience, which debuted in Bengaluru, India in April 2018. An incredible 360° film was created by Jaunt VR to recreate the atmosphere of Old Trafford. The match between Arsenal and Manchester United was also live-streamed into the Igloo, and former Manchester United player Wes Brown was there in person to complete the experience. The Bengaluru event was the first of what’s intended to become a global programme of Destination United experiences. It generated a tonne of media coverage, including this great clip on CNN.